A smart home doesn’t always mean having new and crazy gadgets. Rather, it’s replacing your current devices with connected or automated versions. 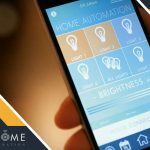 To help you better understand what’s involved with a smart home, let’s start with the commonly used terms you should know. These are a preset series of smart home controls linked to a voice command. The command gets issued via Alexa, Google Assistant or similar systems. This is an Apple protocol or gadget language. It allows the transfer of audio and video between devices using Wi-Fi. This protocol connects devices which are near to each other. Once it gets activated, devices, such as wearables and speakers, are then paired. The LE stands for low energy, meaning it requires little power. This device allows you to control your other smart home devices. A smartphone app, a voice-powered speaker or a universal remote control can be a controller. A virtual fence that lets your devices know you’re close to home, walking in the front door or leaving. GPS or RFID sends an alert when a device like your smartphone crosses a geographic boundary. 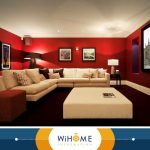 WiHome Integration can set this up for you as your primary custom home automation company in the area. This is a collection of devices controlled as one group. For example, it allows you to switch on or off everything in the bedroom with one voice command or swipe of a phone app. 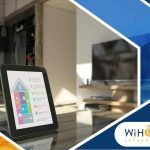 A smart home hub connects different devices that are compatible with different protocols. You can control everything via one app, voice assistant or screen-based system. It can even be set up in your smart home theater. 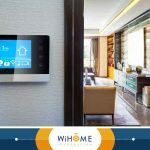 WiHome Integration can help you turn your home into a smart home. We serve you in Fairfax Station, Arlington County and Leesburg, VA. Call us at (703) 436-4110 for a consultation and free estimate.